Yes, I know a flat route. Part of my 2010 challenge is to do at least one metric century a month. And my November legs needed a flat version for a change. The little detours on the map, are me padding the distance to hit 100 kms! 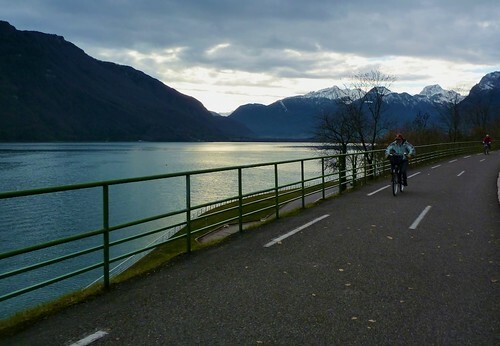 For a relaxing, scenic ride, it’s hard to beat the cycling path from beautiful Annecy all the way to Albertville. 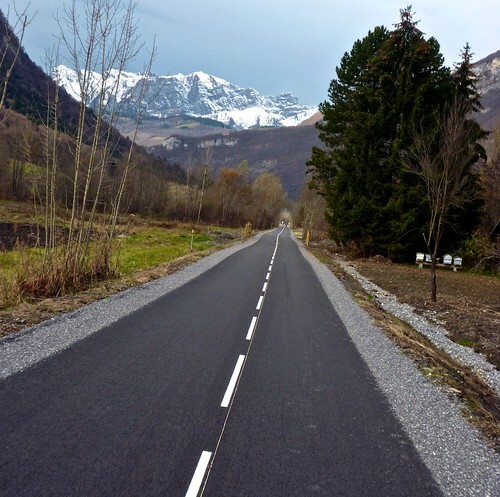 It’s approximately 45 kms that – except for a short, quiet, stretch near Albertville – is car-free. And a great way to join up various climbs to make nice loops. I got drowned and wore out a set of brake pads coming down Aravis after Croix Fry in June last year. Happy days. Ah, you are wiser than me – I forgot about that and sadly “lost” the lottery. 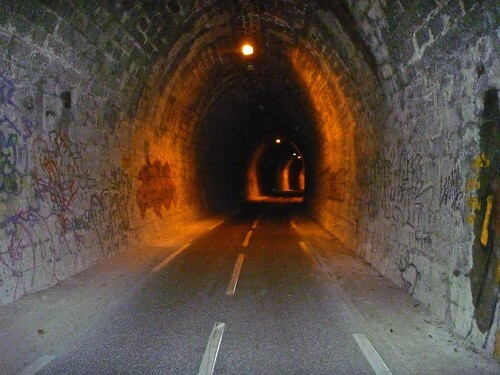 We may go the week before for Sella Ronda bike day, where they close the roads to cars for the Sella Ronda and surrounding roads. Of all the cyclos I have ever done, the Maratona has been by far my favourite – pleased for you. Outrageous. Do 4 x 500 m climb @ 95% HRmax immediately as punishment. Thank you so much for taking the time and making the effort to share your passion. I´ve been to Annecy a few times and did not realise that it had so much to offer, so certainly worth another trip this summer. Your routes in the Dolomites are so beautiful, so after Annecy we are off to follow a few routes you have done there. I´m fortunate to have 8 weeks holiday in the summer. I have a border collie and a Burley (dog transporter) and it is my wish to take him to the top of Mount Ventoux, which I will do this summer. Understandably not wight he racing bike, but a 30 gear trekking bike. I will take some time, but get to the top we will! Thank you once again for your inspiration and stay fit and healthy.